A Neo Gothic church was located in no mans land between the east and west Berlin Borders. The church building was destroyed in 1985 in order ‘to increase the security, order and cleanliness on the state border with West Berlin’. Five years later the Berlin wall was pulled down. The Berlin architects Rudolf Reitermann and Peter Sassenroth and Austrian rammed earth specialist Martin Rauch built this amazing curved rammed earth structure to place the destroyed church. The new Chapel of Reconciliation ‘unites architectural and ecological modernity with remembrance, standing as a triumph against its predecessor’s destruction’. The church was officially opened on the 9th November 2000, the 11th anniverary of the fall of the Berlin wall. Curved rammed earth walls are a beautiful use of the material with its soft gentle lines. It is also the functionally a great use of the material. A curve, like a corner makes for a very strong structural element. This building inspired me to build my house with curved rammed earth walls using the Fibonacci sequence. One day I will finish the last few jobs and post some photos. 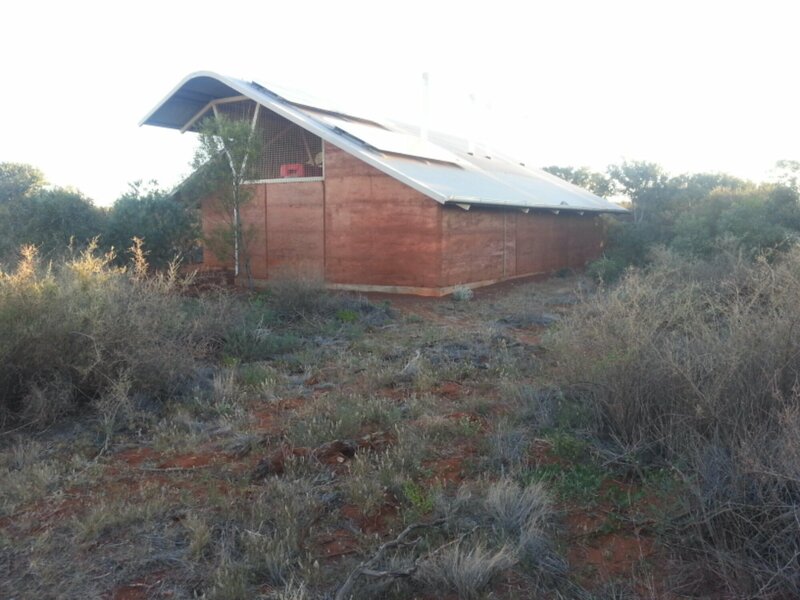 I recently spent some time in the deserts of Australia and was shocked at the conditions of housing at some the Aboriginal communities. For aboriginal people whose earth is their soul and creativity, why aren’t they living in some type of earth dwelling? It would surely help improve their social, cultural and health issues. 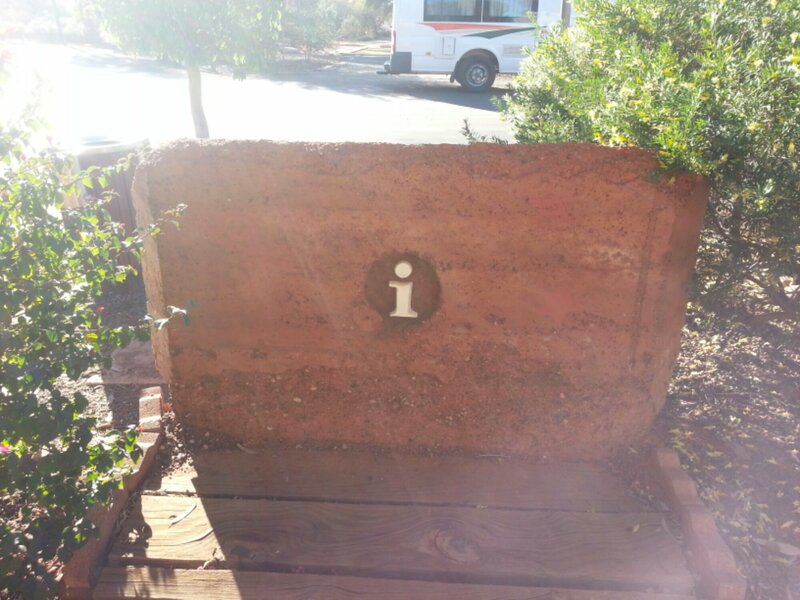 At a recent sustainability conference in Kyoto, Japan, an interesting paper was presented on the sustainability of rammed earth as a building material, especially for remote indigenous communities. The paper was presented by Daniela Ciancio and Chris Beckett from the University of Western Australia. comfortable living space without any artificial air conditioning devices.” These principles can be extended to a wider range of climatic regions if simple solar passive designs are applied to the dwellings. 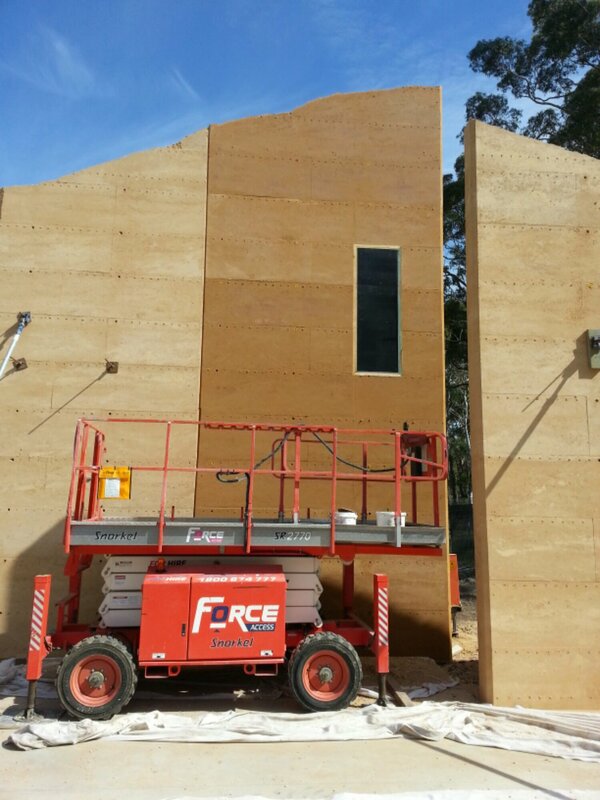 We believe this is the first rammed earth building in Newcastle, NSW on the east coast of Australia. We are using a local sandstone material which some architects like to call rammed sanstone. The photo above shows a freshly ‘stripped’ wall between two older walls. The black box is a window blockout that will be removed in a few days. Thru a door. Thru a door. Thru a door thru a window. Last surf '17 and this snake turns up out the back and it starts following me. Pretty sure its not a sea snake so i paddle it into the impact zone to get washed in but got caught in rip. Ended up putting it in the nose of my board to bring it to shore. Here to 2018 and doing good for all creatures.